For over a decade, Coastal Georgia Historical Society has sponsored a regional competition for National History Day (NHD), a year-long academic program for middle and high school students. Through the program, over half a million students around the world annually conduct original research projects on historical topics of interest. They can choose to present their work through a website, exhibit, performance, documentary, or paper. These research-based projects are entered into contests at the local and affiliate levels, where the top student projects have the opportunity to advance to the National Contest at the University of Maryland at College Park. Georgia’s state contest is organized by the Georgia Humanities Council and LaGrange College in partnership with Mercer University. Teachers and sponsors involve students in NHD participation through school and system-wide competitions, history clubs, home school co-ops, and family groups. For more detailed information on the competition, please check out the Georgia Humanities and National History Day websites. The Coastal Georgia Regional Competition is generally held in March to prepare for the State Contest in April. 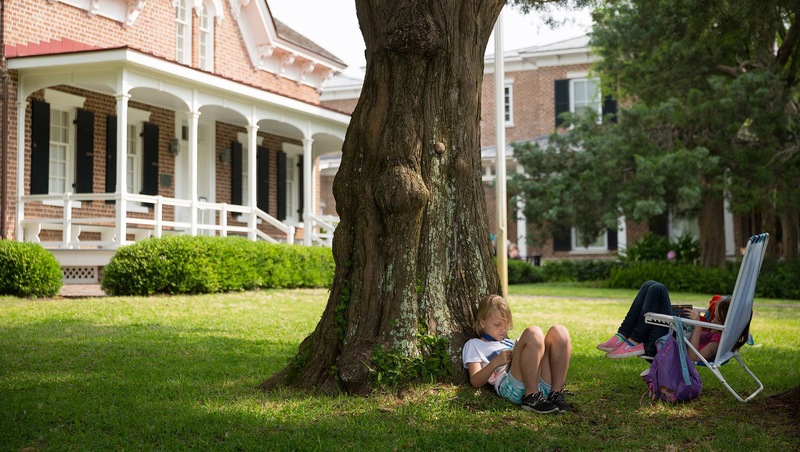 If you are a teacher or parent in our region and are interested in having your student participate, contact Coastal Georgia Historical Society’s Education Director, Sandy Jensen, at [email protected] or call (912) 634-7093.